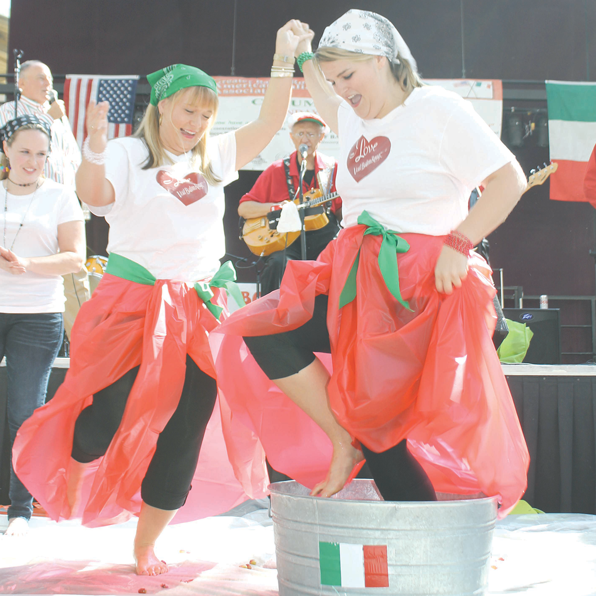 BATON ROUGE — More than 1,000 Baton Rouge residents of Italian heritage — along with many others with names like Boudreaux, Smith, and Blackwell who “claimed” to be Italian — flooded into the Atrium at the Belle of Baton Rouge for the annual American-Italian festival. Attendees, including Mayor-President Kip Holden, who didn’t quite pass for Italian, enjoyed Italian food, celebrated Italian traditions, danced to Italian music, practiced rolling a bocce ball, learned Basic Italian, and studied the genealogy of Italian families in the Baton Rouge area, depending on their interests. The highlight of the event was the presentation of this year’s Maids of the Greater Baton Rouge American-Italian Festival, 33 young ladies, aged 3 through 18.